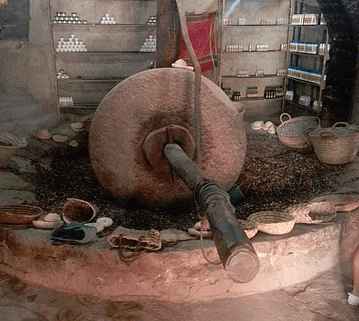 On a recent trip to Morocco, I had a chance to see how argan oil is produced. It reminded me of the craze that happened when it first arrived on the UK market. Literally every client who came to see me asked if argan oil would cure their hair problems, and I can see why. Argan oil is a really lovely oil, and there's nothing wrong with using it or any other product as long as you have a balanced perspective when using it. What do I mean by this? I've found that we sometimes look to a product as our saviour, putting all of our hopes and expectations into that one product, believing it will cure all of our hair problems. The problem with this is that there are different causes of different hair problems which can't all be resolved using a product. For example, if your hair thinning has been caused by a poor diet, a product won't make it grow back, but improving your diet will. The key here is to embrace and enjoy hair products but always have a balanced and realistic perspective when using them.